UR Robots are advanced tools that can be used by any employee, regardless of their level, helping to optimize production and reduce accidents. 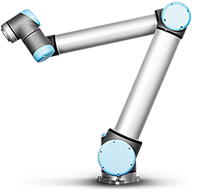 With a Universal Robots robotic arm, you can optimize and restructure processes which are repetitive or hardous, so that you can assign to your employees more important and motivating Works. 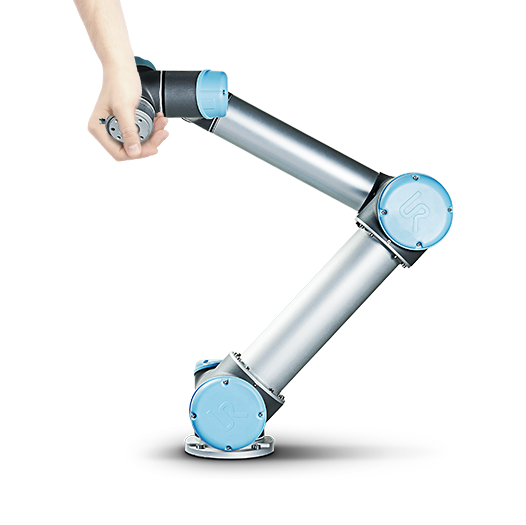 UR robot arms are quickly and skillful, running at 1 m/s. with the ability to move each of its six joints 180° per second. 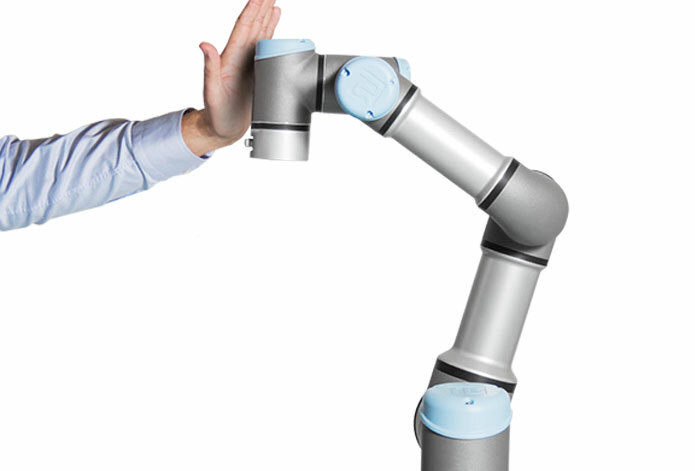 The repeatability of the UR robot is + / – 0.1 mm for fast and precise handling. Absolute encoders acquire an absolute position immediately after power, allowing automatic startup and easier integration into other machines. The minimum lifetime of UR robots is 35.000 hours running at full load and maximum speed. Patented technology lets operators with no programming experience quickly set up and operate our robots with intuitive, 3D visualization. Simply move the robot arm to desired waypoints or touch the arrow keys on the easy-to-use touchscreen tablet. 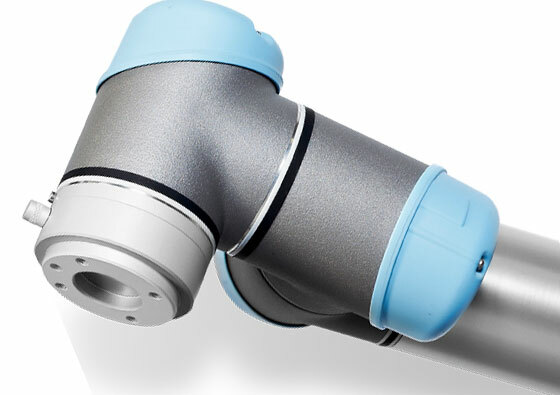 Universal Robots has revolutionized robot set-up, reducing typical robotic deployment measured in weeks to a matter of hours. 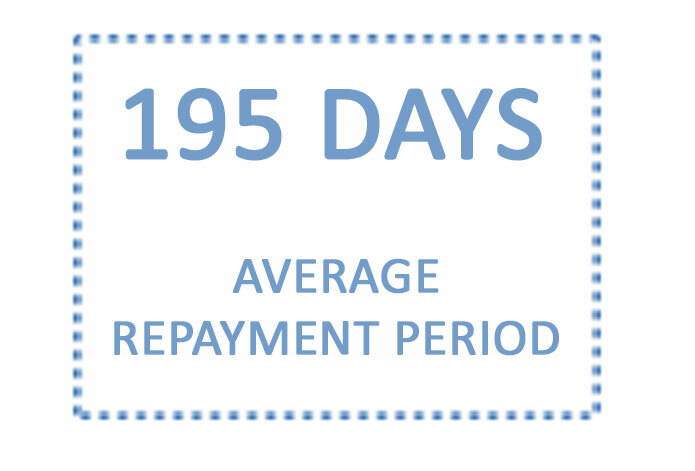 The average set-up time reported by our customers is only half a day. 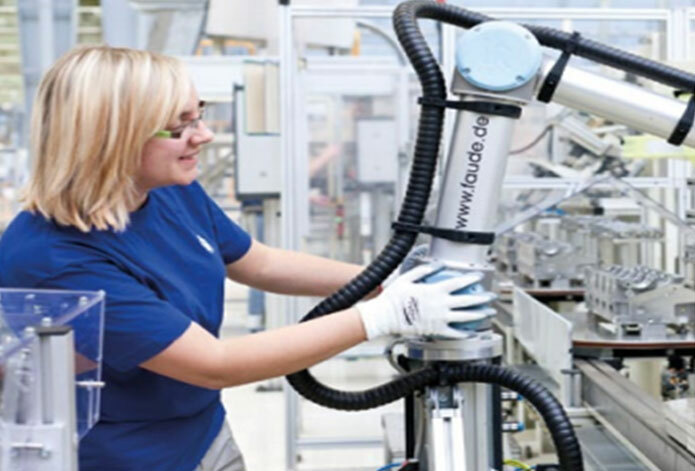 The out-of-box experience for an untrained operator to unpack the robot, mount it, and program the first simple task is typically less than an hour. 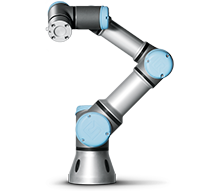 Universal Robots gives you all the advantages of advanced robotic automation, with none of the traditional added costs associated with robot programming, set-up, and dedicated, shielded work cells. Finally, robotic automation is affordable for small and medium sized enterprises. Don’t be limited by dedicated robotics. 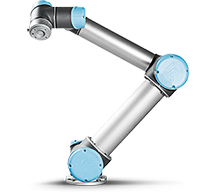 Universal Robots are lightweight, space-saving, and easy to re-deploy to multiple applications without changing your production layout. 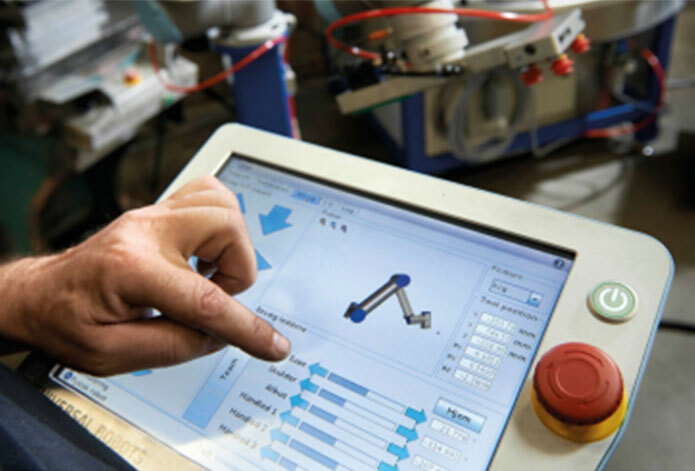 Moving the robot to new processes is fast and easy, giving you the agility to automate almost any manual task, including those with small batches or fast change-overs. The robot is able to re-use programs for recurrent tasks.